Thanx so much for sharing this news about Dave (sad as it is) and for the cool link to his video. Dave was a sophomore when I was a senior. I don't remember how we got together: probably sixties-related shared interests! Anyway, I remember Dave as being smart and fun to be with; and enjoyed living my younger days with him at Pacific through his video. As I begin my own journey into the 60's (age-wise! ), these are bittersweet memories. Back in the late sixties and early seventies, I was a punk teenager with a bad attitude and really bad hair. One of my running buddies was a guy named David Schantz. Dave and I grew up together in the Bonaire neighborhood in San Leandro, California. He was a year older than me and I looked up to him. He was a multi-instrumentalist - bass trombone, tuba, cello, acoustic and electric bass, guitar - and he was smart as hell. If I remember right, he was admitted to Stanford. He also liked to sing (his vocal style was...umm...unique) and he acted in several plays in high school. Dave was creative and hilarious, and was a tall, lean character who swaggered when he walked. So Dave had a lot going for him as a young man. We had a lot of crazy teenage experiences together and played a lot of music. He opened my ears to some new sounds. Dave also was interested in experimentation and he had a rebellious streak. This manifested itself in the activities one might expect of a teenager in the late 1960's - drug use and refusal to conform to societal expectations. He never made it to Stanford, I don't think. Dave wanted to be a rock star and he pursued that dream, I think. When I left California after college, I lost touch with Dave. I would get tidbits of info - he released a self-produced CD, he assumed the alias of Dave "Slim" Chance, he hooked up a stationary bike to a generator to make electricity while exercising. I didn't see Dave or talk to him - he moved out past Sacramento, so he wasn't around when I went back to the San Francisco Bay Area to visit. I got a call from another old childhood buddy last night - Dave Schantz died on Tuesday. He contracted hepatitis C some time ago, which morphed to liver cancer, which took him out. Dave was around 59 years old, I think. It is a damn shame he had to check out early. So I dug around the web and found Dave's YouTube channel. He put up a remarkable video - one of his original songs, telling his story, tied to a photo montage of his life. He knew that he was going to die. Here is the link to that video. There is another video that provides a glimpse of Dave's brilliance: Check it out here. 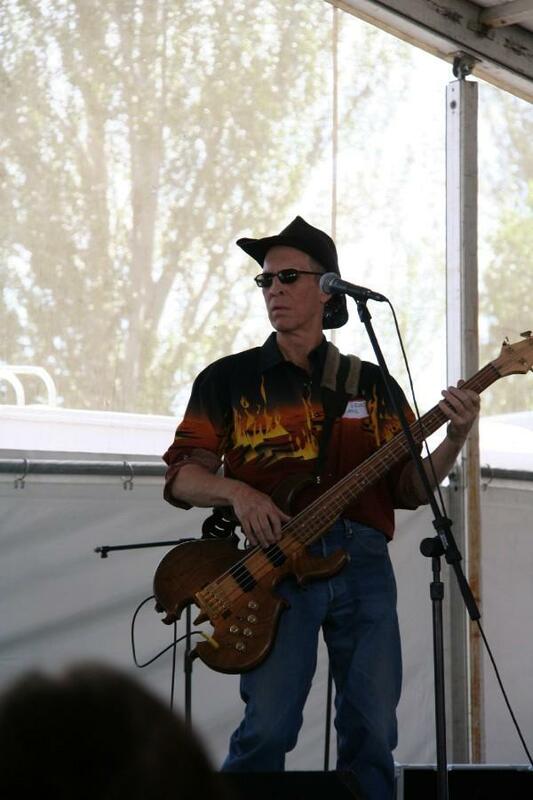 Dave Schantz, aka Dave "Slim" Chance - sorry I lost touch with you, man. I will be sure to raise a glass full of adult beverage tonight in your memory. I have a feeling that is what you would want me to do.